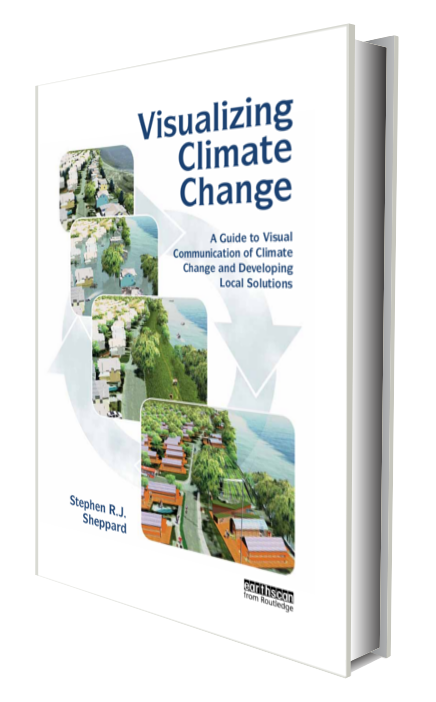 Stephen Sheppard is an author, researcher and professor at the University of British Columbia, teaching in landscape and climate change planning, environmental perception, and visualization. His other appointments include Adjunct Professor at Nanjing Forestry University, China, and a Sustainability Research Fellow at the University of Plymouth, UK. His latest and heavily illustrated book Visualizing Climate Change, published by Earthscan/Routledge in April 2012, reveals what the causes, impacts, and solutions for global warming look like in existing and future communities, and provides a guide to ethical visual communication of climate change. Stephen is the Director of the Collaborative for Advanced Landscape Planning (CALP), an interdisciplinary research group which conducts climate change and renewable energy planning, perception-testing, and future visioning of sustainable adaptation and mitigation solutions. CALP uses spatial analysis and innovative 3D visualization tools to support social learning, decision-making, and policy change within participatory processes to develop, analyze, and communicate future scenarios. CALP has developed a Visioning Guidance Manual and pioneered training in visioning techniques with municipal, First Nation, and college practitioners. Stephen has also spent over 25 years as a consultant in environmental assessment, visual resource management, landscape planning, and public involvement. He has published four books and numerous peer-reviewed articles on visioning and visualization methods, public perceptions, and community engagement/communications. He was a co-author on the Canadian National Climate Change Assessment (BC Chapter), and a reviewer of the IPCC Fourth Assessment on Climate Change. 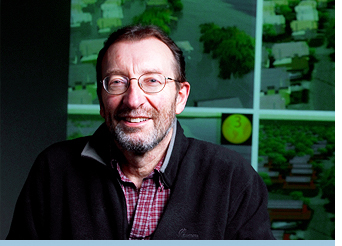 Stephen is theme leader for Social Mobilization research at the Pacific Institute for Climate Solutions (PICS), and directed the design of the immersive BC Hydro Theatre at UBC’s award-winning Centre for Interactive Research on Sustainability (CIRS). At the University of British Columbia, Stephen is jointly appointed in Forest Resources Management and Landscape Architecture. You can buy the book from Routledge here or from Amazon here!